Meaning Center of the World, or Navel of the World. 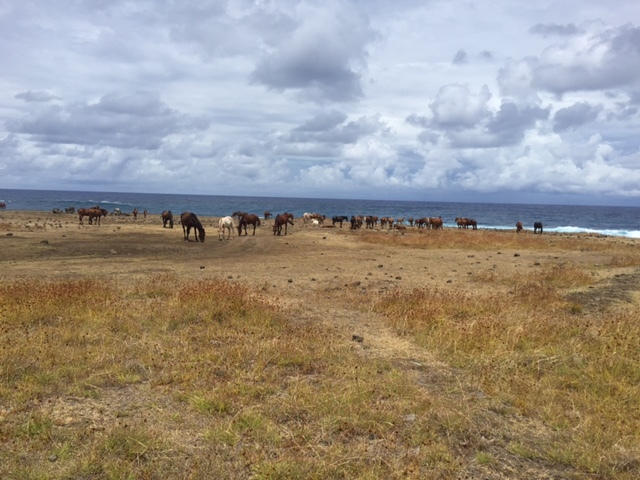 A name believed to have been given to the Island by Polynesian settlers arriving in Approx 300AD on the worlds most remote inhabited Island better known as Easter Island. Named by the Dutch explorer Jacob Roggeveen who landed there on Easter in 1722. Ahu Tongariki at sunrise. I got up at 5 AM to get this photo however sunrise wasen't until about two hours later. If you are there and took that picture, then you are indeed a fortunate traveler. If you are There, we need more pictures !!! Lots more ! 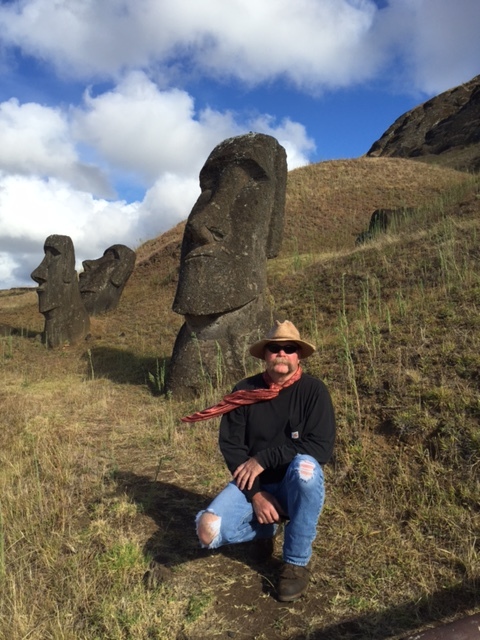 The Moai behind me is Hinaraiu. 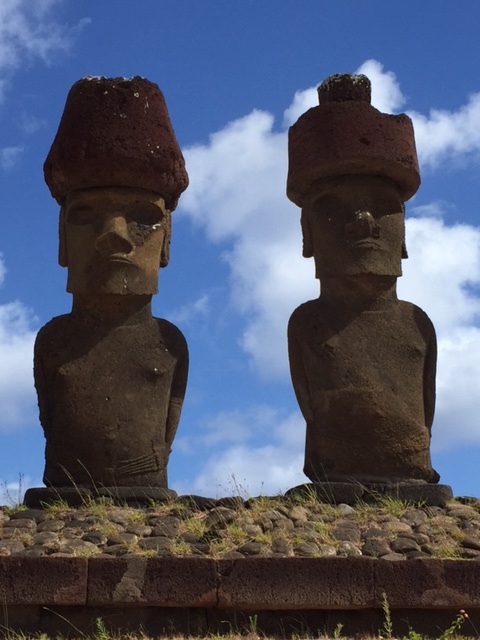 This sight is the Rano Raraku Quary. 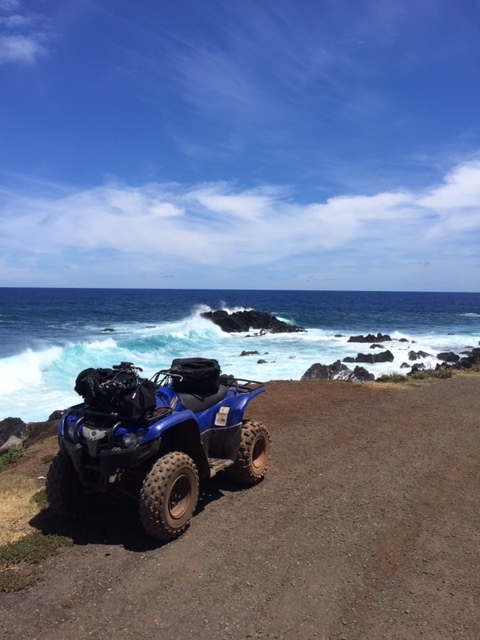 There are 397 Moai in this area alone. Anakena Beach, Prier to my visit, I always figured pictures like this one were enhanced but I can assure you it's real. It is even more beautiful then pictures. My transportation for the week with my SCUBA gear strapped on the front. 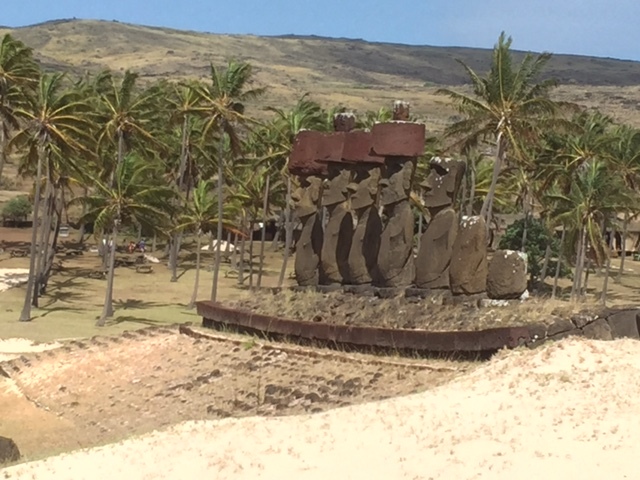 A close up of two Moai at Anakena Beach. You can see that their eye sockets have been relieved for the insertion of precisely carved white coral. 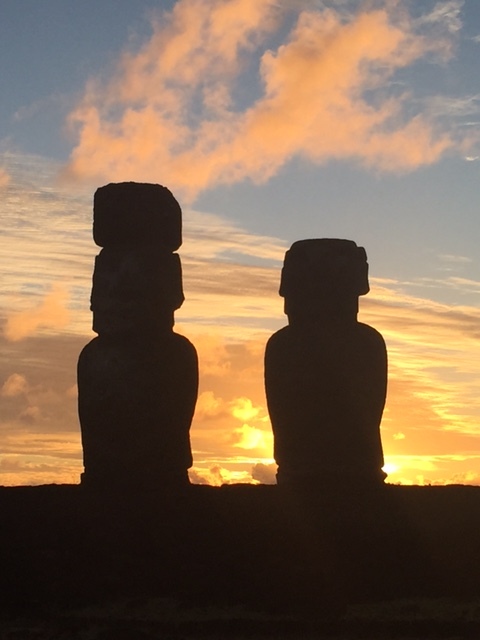 It is widely believed that the eye sockets were not carved until the Moai were set in place on their platforms thus giving them the ability to look to the heavens , bringing their spirit to life. 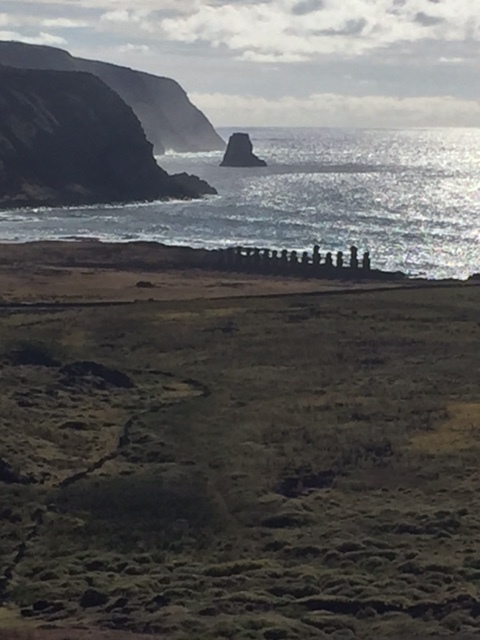 None of the 397 Moai in the Rano Raraku Quary have their eye sockets carved thus are unfinished. Some of the original white coral eyes have been removed from the island by thieves and some are in museums. I spent a couple days in Chili and viewed the ones they have on display in Santago. I could go on and on about this mysterious and magical place, It is full of surprises. Anyone here on Forestry Forum who has had an organ transplant might be interested to know that The Drug known as Rapamycin is an Immunosuppressant used throughout the world to prevent rejection of organs after transplants, and has been particularly effective in the transplant of Kidneys. 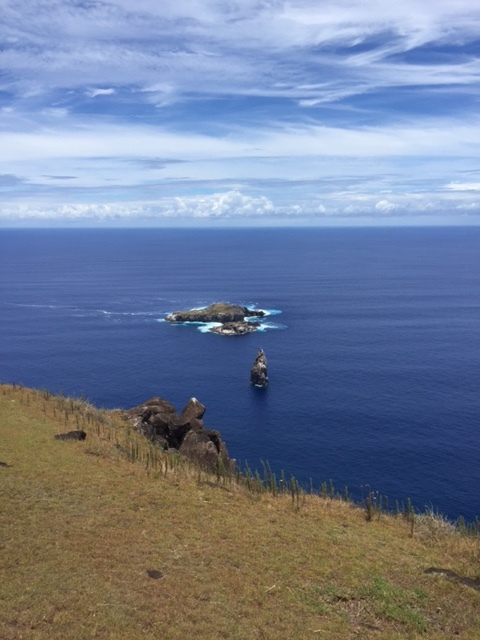 It was discovered within bacteria from soil samples taken from the far side of Rano Kau in 1965 and given the name Rapamycin due to it's origin in Rapa Nui. It is now produced synthetically, and often prescribed to patients for it's antifungal and antitumor capabilities. Thank you for such an in-depth description of some of your travels and interesting trivia. Are there mostly beaches or mostly rocks along the coast ? Thanks for the trip! What part of Nebraska are you from? Only two small beaches, Coast line is rough and unapproachable with an almost constant surf. I see your in the sandhills? We count sheep for the Nebraska Big Game Society in Crawford, Fort Robinson area of the sandhills. We live NW of Albion, very eastern edge of the sandhills, we run most our cattle in the Bartlett/Ericson area, I love going west and the country you work in is beautiful. I like the mules too .